Many people will offer to alter or refurbish your property. It takes an architect to maximise it’s potential and do it with flair, imagination and style. Our team have a passion for Design and have successfully delivered healthcare, retail, commercial and residential projects throughout the UK. By combining their creative thought process and attention to detail, our team manages to create designs that work harder to deliver what you need while creating beautiful spaces and places for people to live and work and thrive. 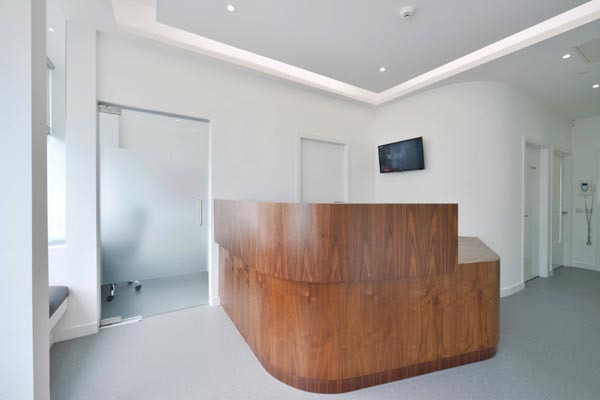 NVDC Dental offers a combination of commercial awareness and design ability. Our rigorous, questioning approach produces design solutions that are both intelligent and imaginative. We work collaboratively with our clients, often forming long-term relationships. We place great importance in the way buildings work, not just the way they look. Our portfolio provides a full range of services from early consultation and brief development, through to construction design and project management led by a director. 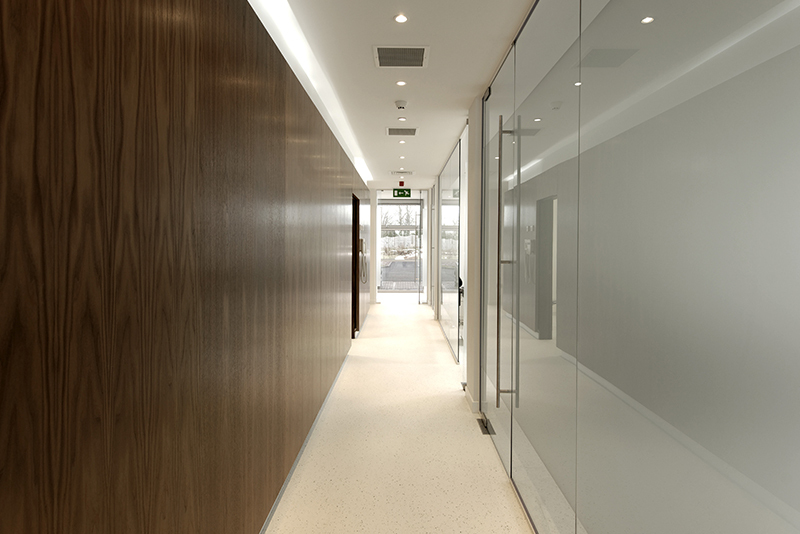 Every project, large or small, new build or refurbishment we begin by asking what you want to achieve. A Desk-top property/site appraisal can often be the most cost-effective way of assessing the suitability and viability of a building or site in principle for your purposes before you even view the site/building. A desk top study of site/building is conducted by our team and assessed against what you aim to achieve and the local planning and building regulation restrictions and other site constraints. On completion of our assessment, we put our findings into a report with copies of all relevant information and extracts. 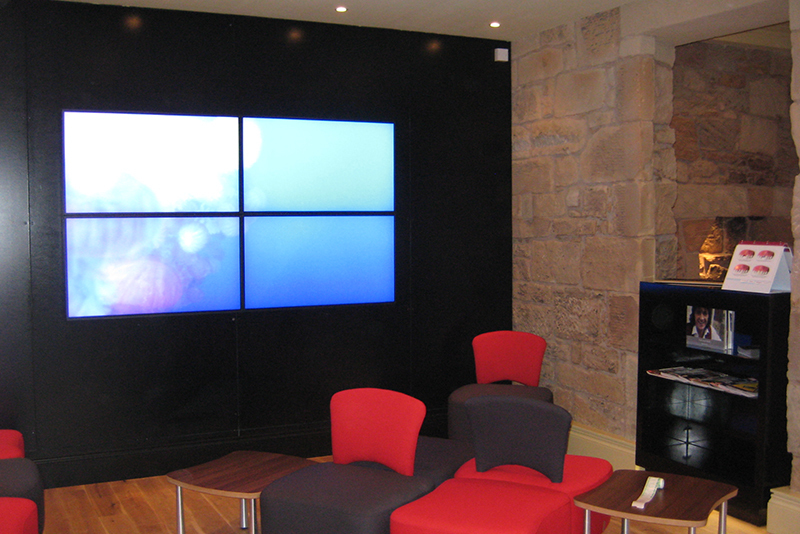 We would be delighted to discuss how we might address your project. Please get in touch at [email protected] or on 0141 959 8752. Our consultation process is to establish what you aim to achieve and the viability of the project. Whether you are considering altering an existing building or commissioning a new build, we offer an initial consultation to discuss in detail your aspirations, aims and objectives and to carry out a visual appraisal of the site/building. The visual appraisal of the property/site and a more in depth understanding of your project brief will allow us to provide you with an immediate site specific indication of what could be possible within your property/site parameters that would comply with statutory regulations. This would take the form of free hand sketches to demonstrate the site restrictions and possible layout strategies that could be explored in detail at Feasibility Study stage. We would be delighted to discuss how we might address your project. Please get in touch at [email protected] or on 0141 959 8752. Should you decide to engage our services for your project, the next stage in the design process would be to conduct a feasibility study to fully test the potential of your site/property by producing a number of accurate design options for making the best use of your property/site. The Feasibility Study will consist of a measured survey and space planning layout options. In the absence of detailed accurate electronic drawings, a detailed measured and photographic survey of your property/site will need to be carried out to enable us to produce accurate existing drawings of the property/space. Local Planning Authority and Building Regulation Agents require these drawings to show interior layout, external elevations and existing service provisions. The measured survey may in some instances also include a topographical survey and consultation with utility providers. Space planning is of vital importance in making the best of your property’s true potential. By planning your space effectively at the start, you will be able to efficiently maximise all your available floor space. Regulatory compliance considerations are also essential at this early stage as well as your initial project brief. Space planning layouts at this stage will therefore ensure that legislation and your project brief are fully considered so that you can make an informed decision on the best way for your project. Our presentation at this stage will incorporate several floor layout options of how to maximise your requirements. At this stage, the drawings will be in ‘plan layout’ form only; final elevation drawings are produced once the fundamental space layout has been confirmed by you. On finalisation of the space planning, the next stage would be to apply for and obtain the necessary consents from the relevant local authority. We would be delighted to discuss how we might address your project. Please get in touch at [email protected] or on 0141 959 8752. Individual planning authorities will have different Local Policies that can affect proposed Change of Use in certain locations. For example, if the building you have identified is within a primary shopping area, the local authority may only allow for a percentage of buildings to be allocated for non-retail use. 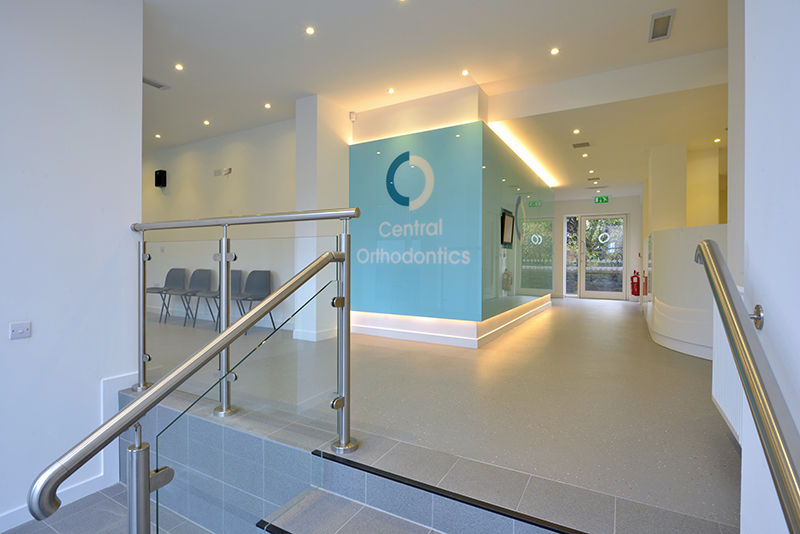 In this instance, a detailed study of the area will be necessary to provide justification for the Change of Use to a Dental Practice. On the other hand, if the building is classified as B1 (Business) use, the Local Authority may take a view that the loss of designated employment space will have a detrimental effect on the locality and recommend refusal of the application without justification for the Change of Use. Therefore, liaison with the Local Planning Authority at an early stage to understand their specific requirements and policies is essential to understand the a successful application. Listed buildings and buildings in a conservation area can present challenges and have to be sensitively considered, liaising with the local authorities’ Listed Buildings/Conservation officer. It should be noted that it cannot be assumed that with Grade II buildings you can make alterations without needing planning permission. In most cases a survey of the historical fabric of the building has to be carried out detailing the structure and existing materials. Therefore, if you have a listed building or the building is located within a conservation area or an area of special interest, research will be required to understand what will be acceptable to the Local Planning Authority, English Heritage & Historic Environment Scotland. Whether your proposal is for a new build or an extension, detailed plans will have to be produced showing structure/building methods, elevations, landscaping, drainage etc. As with other forms of planning submissions, a Design Access Statement will have to be produced and there are also other documents which may be required depending on the location of the site. These could include Flood Risk Assessment, Environmental Impact Statements and Sequential Tests. The Local Planning Authority may also require legal obligations and additional fees in the form of Section 106 agreements and Community Infrastructure Levy depending on the proposal. All forms of signage, be it a brass plaque by your front door, window manifestations or other more prominent external signage will need to be covered by an advertisement consent. This may all sound very confusing, but we support our clients throughout this process by our comprehensive service that leaves you free to conduct your business whilst we deal with the paperwork, affording you minimum disruption. We would be delighted to discuss how we might address your project. Please get in touch at [email protected] or on 0141 959 8752. All new building works are required to comply with current Building Regulations in order for the completed work to be approved. This is an area of changing legislation and it is important that the details submitted meet the required Building Regulations standards in order for the building to be approved for use. Our team constantly reviews the legislation to ensure we support our clients throughout their project as regulations are subject to change. Building regulations encompass the Disability Discrimination Act, Fire Regulations, Structural alterations, construction and Environmental Impact Assessments. The application for Building Warrant (Building Regulation Approval) requires detailed design drawings to be submitted to the relevant local authority or certified approver. Certain project scope of works can necessitate the appointment of other consultants such as Structural Engineer and M&E Engineers to produce additional necessary specialist drawings and information for the purposes of Building Regulations approval. Building works on site can only begin when approval of the plans/application has been obtained. We would be delighted to discuss how we might address your project. Please get in touch at [email protected] or on 0141 959 8752. 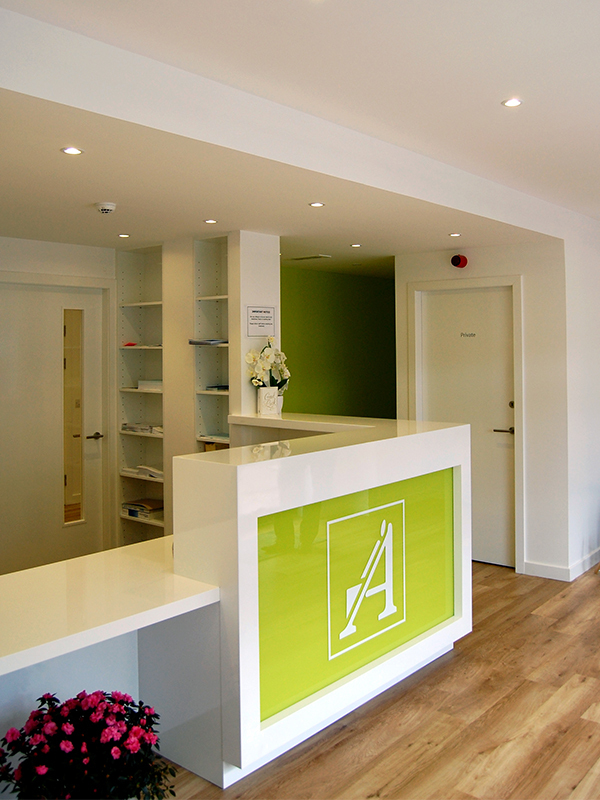 Our team offers a comprehensive interior design service to compliment your new surroundings and create an environment which reflects your practice ethos, helping you to realise your dream and create an interior that benefits your team and your clients. Your working environment should reflect your field of expertise giving you confidence and an enjoyable place of work. 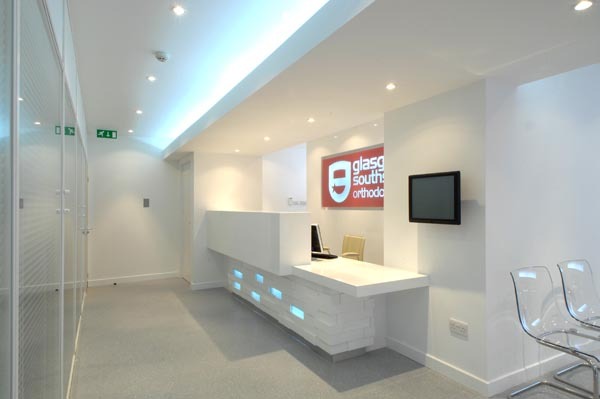 The image of your interior can give your clients confidence in you both professionally and financially. Our design team will visit you with numerous products, from various suppliers and international sources. At this stage, the budget for fixtures and fittings is discussed and a selection of products identified to meet the criteria. Our team will work closely with you to match your preferred design aesthetic and bring your vision to life. This presentation is led by you and your brief in terms of material choices, colours and textures. Our creative team will help with this process to reach a conclusion within budget and, just as importantly, within achievable timescales. Once the design is finalised, our team will forward data sheets to you with all the chosen information together with labelled samples of the final choices. Good project management is critical for the client to realise a successful project. Our team’s ethos is to deliver the right solution the first time, on time, every time. Our effective project management services include strategies, tactics, and tools for managing the design and construction delivery processes and for controlling key factors to ensure you receive a facility that matches your expectations and functions. Improvements in building quality directly contribute to reduced operational costs and increased satisfaction. Successful project delivery requires the implementation of our management systems that control changes in the key factors of scope, costs, schedule, and quality to maximize your investment. Achieving value for money in construction requires completing a project on time, on budget and to a level of quality that meets the determined needs. A well-programmed project will continue to provide value and meet user needs throughout its lifetime and will contribute positively to the environment in which it is located with a wide range of social and economic benefits. Early investment in planning, programming and design can help deliver these benefits and avoid unnecessary costs and delays. All our project management services are Director led, where a Director will co-ordinate a weekly site meeting with the client, main contractor, M&E and other relevant parties to ensure a seamless project delivery. Complience with Health Technical Memorandum 01-05 (HTM 01-05) is now a legal requirement for every Dental practice in the UK. In Scotland, the equivalent document is Scottish Health Planning Note 13, Part 2 (SHPN 13 Part 2). Here at NVDC we can help you review your existing practice facility & procedures, and how best to approach compliance with the requirements of HTM 01-05/ SHPN 13 Part 2. We’ll advise you on the most practical location for your LDU and the Decontamination equipment and furniture best suited to your practice. Uniquely, we’ll also be able to advise on any construction or building work required to achieve the desired standards, and sort out Planning Permission and Building Warrants (if required). 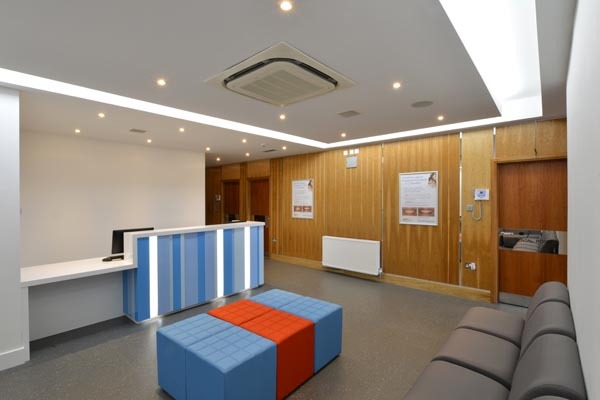 We’ll work with you to finalise a design to suit your budget and requirements, and then we’ll undertake and Project Manage the works from start to finish to ensure you get the best possible results with the minimum of disruption to your patients and staff. 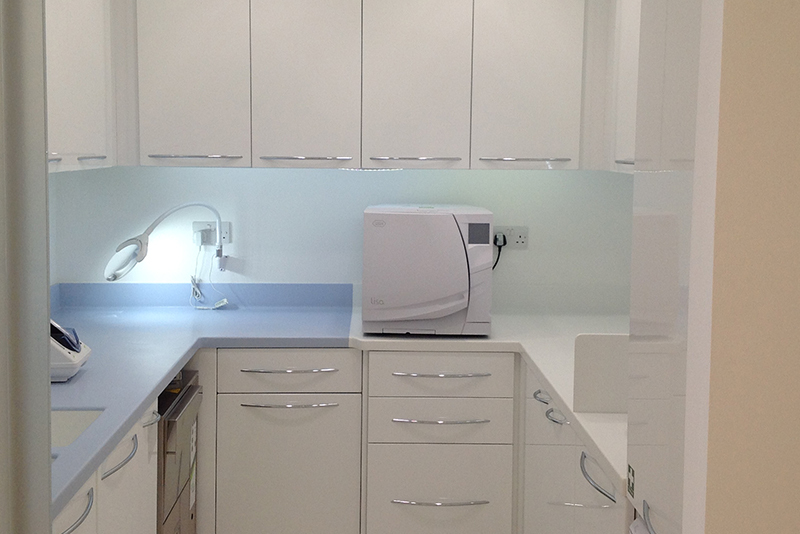 See our case studies for examples of our Local Decontamination Unit solutions. Over the next two years, the registration of healthcare providers, including dental practices both working within the NHS and entirely privately, will be introduced. The Care Quality Commission (CQC) will oversee this process and have regulatory responsibility to ensure that the requirements for registration are met. This includes the provision of a safe, clean environment and appropriate decontamination of dental equipment, better known as an LDU (Local Decontamination Unit). Every practice will be required to attain at least a minimum standard of “Essential Quality Requirements” within one year of the memorandum being published, and have a plan in place to move toward adopting the more stringent “Best Practice” standards. Even though there is as yet no firm deadline for achieving these higher “Best Practice” Standards, the CQC will be embarking on a programme of grading all practices poor, average, or good. In Scotland, there were varying deadlines for compliance with SHPN 13 Part 2, depending on each practice’s individual circumstances. For those practices that were developing an LDU within their existing practice, they had until the end of December 2011 to confirm their decontamination procedures were in place and were fully compliant and operational. For those practices that were unable to incorporate a compliant LDU within their existing facilities, and would have required to either extend or relocate, had until the end of June 2010 to submit to their Health Board a time limited plan for the installation of the LDU. Any dentists still not complying with guidelines, for whatever reasonr, now have until the end of December 2012 to confirm their decontamination procedures are in place and are fully compliant and operational. In Northern Ireland, while there is a similar situation to that in England (with the exception of Care Quality Commission registration) – compliance with HTM 01-05’s “Essential Quality Requirements” within 12 months of the memo being published, compliance with the “Best Practice” standards is to be achieved by the end of November 2012.